Columbia Police Department (CPD) investigators are releasing surveillance pictures of a male armed robbery suspect to aid in his identification. 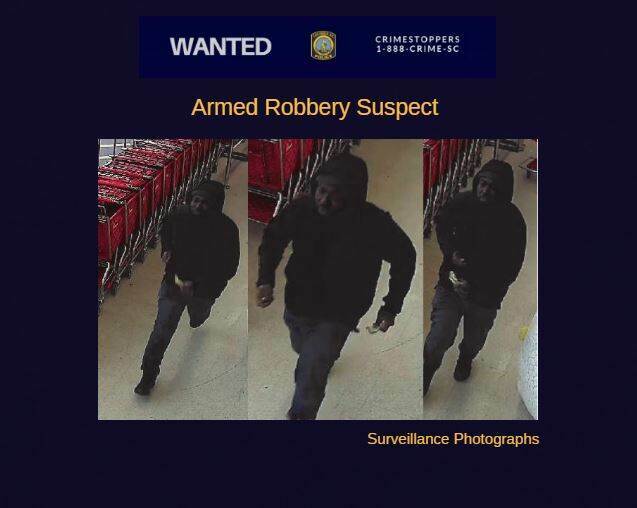 Armed Robbery Suspect | Roses – 4033 W. Beltline Blvd. The man is accused of stealing money from Roses Discount Store located at 4033 West Beltline Boulevard on December 10, 2018. The suspect is believed to be a black male approximately between 5’08” and 5’10”, 185 pounds with a full rounded beard.